The sun is shining and it’s finally starting to warm up outside. A great way to soak up the beautiful weather is to start walking to work. Here are our top tips for an enjoyable walk commute. Leave the house early. 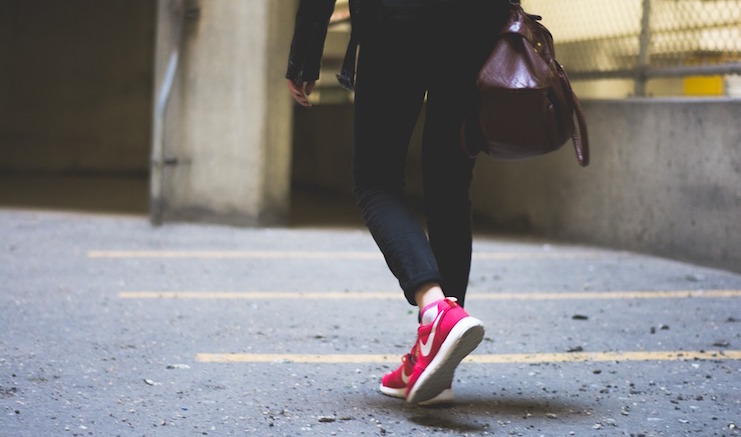 If this is your first time walking to work, it could take you longer than expected, so give yourself plenty of time to get there. Even if you are a “seasoned walker” it’s better to enjoy the route without feeling rushed. Prepare for bad weather. Grab your umbrella, rain jacket, or heavier coat if need be. And don’t forget to check your weather apps before heading out the door. Even if it appears to be sunny, there could be a rainstorm looming. Pop on your headphones. Listen to a fun playlist, audiobook or podcast to start your day off, it’ll make your walk enjoyable. Here are some of our favorites. Wear the right shoes. It’s important to wear comfortable and supportive walking shoes. If you want, you still can bring your nicer work shoes to change into once you get there. Try a fitness tracker. It’ll keep you motivated to keep on stepping. You could even start a friendly competition with friends or co-workers. At the end of the day, you can feel accomplished that you beat your friends in their total steps. Grab a backpack. Ditch your purse or briefcase. A backpack allows you to balance and carry weight easier. You’ll thank yourself later. Stay hydrated. Fill up your water bottle and keep it handy to rehydrate yourself throughout your walk. You could even pack a snack to munch on along the way. If you find yourself walking to work more than you are driving, pay-per-mile car insurance could be a great choice for you. Metromile helps low mileage drivers save money on insurance because the bill is based on how much you drive. Learn more and see what your potential savings could be.